Last week saw our 20th wedding anniversary. A significant milestone, though not Silver like 25 years, apparently it’s China or Platinum. @elemming decided to book us a treat though. We have on very special occasions gone for experiences to remember. My 40th birthday was driving fast cars around Thruxton. For @elemming’s 40th we went to Claridges. We did get to go to Heston’s place for a meal recently too, that was a @elemming’s work based special occasion. For once, in order to make the meal extra special, neither of us took photos of the food or tweeted, facebooked etc through the entire meal. It seems odd to say how special it made it. The food is so beautifully presented, delicate balances of taste and texture and served with great respect not pomposity. However it is a few hours of non-tech facing focus that we will remember for a long while. 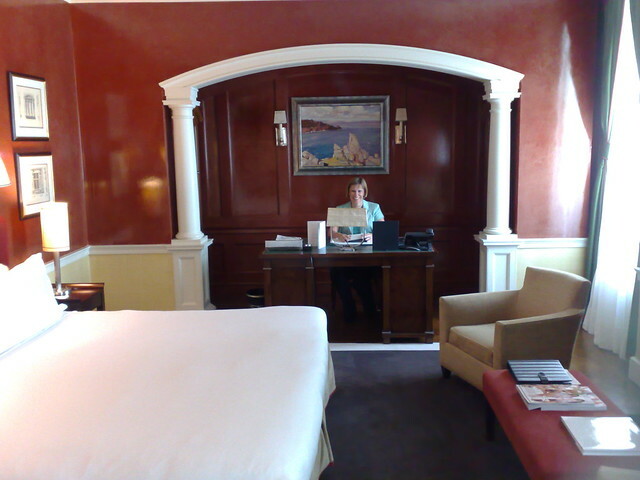 The visit to the hotel did not go without recording to share with others and for some memories. The location is a wonderful old house with a very extensive garden. Most of the garden is taken up with things that can be eaten. It is way past a small vegetable plot or herb garden. Not only that but they also have a charging post for electric vehicles, though it has not been used very much for various demographic reasons. 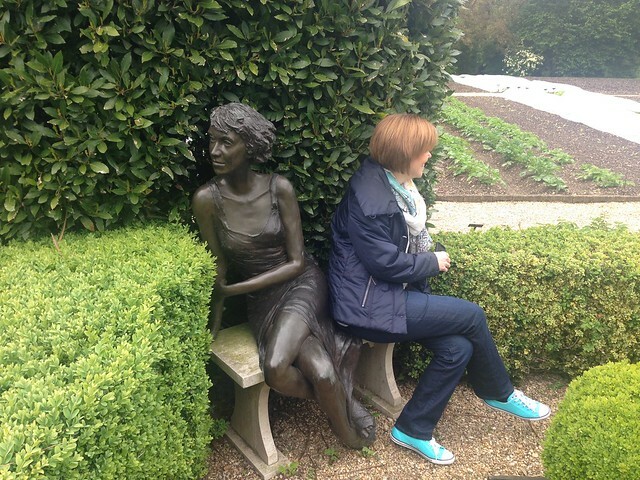 The gardens were liberally dotted with some very nice statues and sculptures. It added to the other world feeling of being transported elsewhere. The lack of textures on them adding a Snowcrash like feel to the avatars. 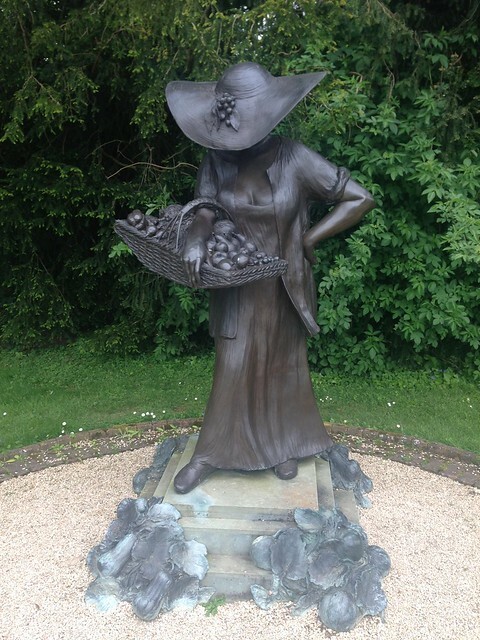 The fruit gathering statue with its large hat reminded me of Fable too ! One of the more unusual areas creating produce for the grand was the mushroom valley. I have not seen one of those before and it was intriguing. A small river of water and lots of logs and sheltered places allowed fresh fungi to be cultivated outside. 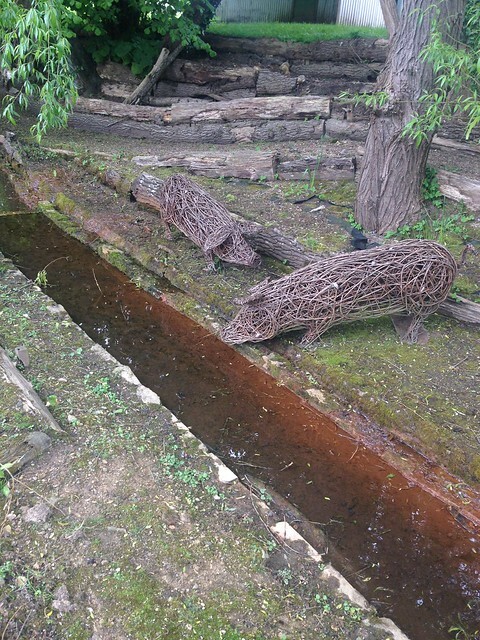 The wicker pigs fitted in nicely too. The room we had “Kiki” was a courtyard room. Some very fine marble in the bathroom and the most comfy hotel bed I have slept in yet. Their photos do it much more justice. Sometimes going to a place with so many people to help and do things can feel a little odd, not joining in feels strange for me. We are all people after all. 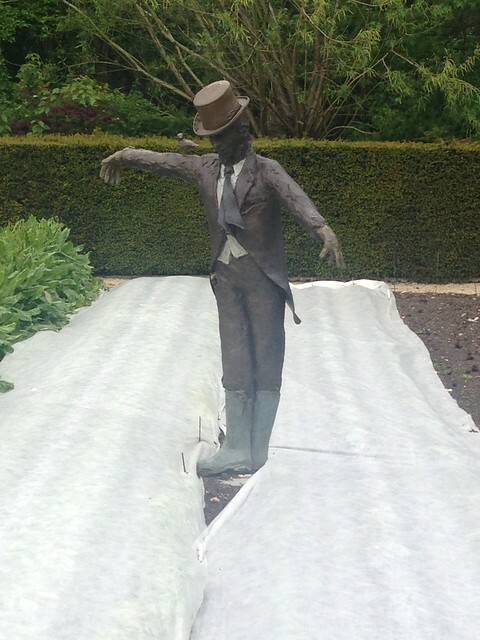 However the people at Le Manoir are so relaxed and friendly, yet spot on professionals that it removed that discomfort for me. As the cook in the house and being willing to try more and more difficult and tasty dishes I learned a lot from what I got to see, smell and taste in the restaurant. Things like a sorbet of red pepper and tomato, or a subtle hint of Wasabi with some cucumber. I had never had Wasabi in anything other than a very rich nasal tickling concentrate. In this dish it was a smoky background flavour that was very surprising in its familiarity but yet confusing as my eyes were not watering. The food writer Jay Rayner wrote he usually reviewed food at horrible places so we didn’t have to but Le Manoir he was pleased to review because none would ever get the chance to go. Thankyou everyone for making it such a special and enjoyable time. The new issue of Flush magazine has just gone live and this time I joined in the food theme of the magazine. Page 87 on is my little contribution. Being a company called Feeding Edge I always thought I would give myself the opportunity to move to a food based business or set up a restaurant. However this was an article about new types of food, the challenges we have for feeding the planet and some of the science and art of food that is coming to light. I often put little tag lines into sections and my favourite was “waiter there is a fly in my primordial soup” in the section about farming algae for food. Anyway see what you think.